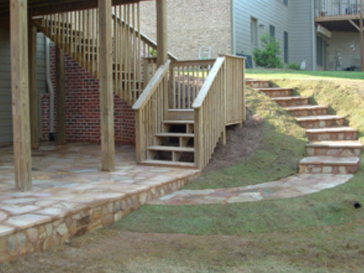 This is another customer’s front and back yard house. 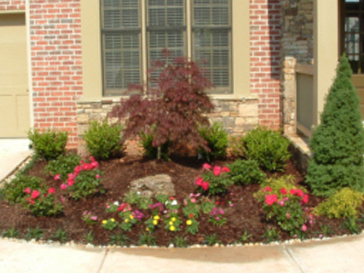 Flowerbed with JP Maple, shrubs and colorful flowers. 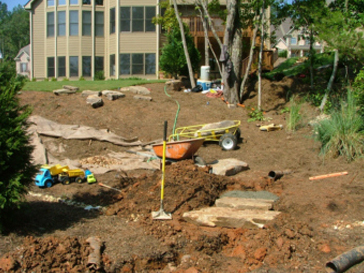 Below you will find more pictures of this project. 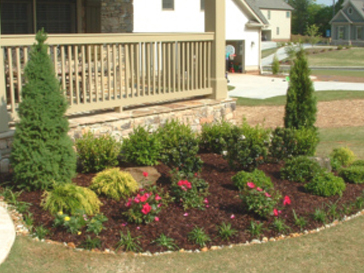 Flowerbed with Evergreen, shrubs and colorful flowers. 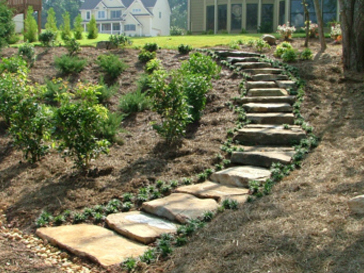 Natural Fieldstone steps were built with dwarf Mondo grass around it and evergreen shrubs. 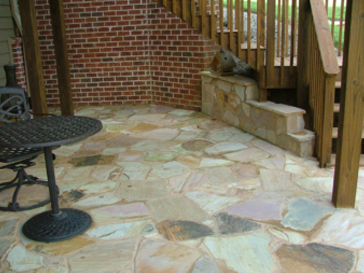 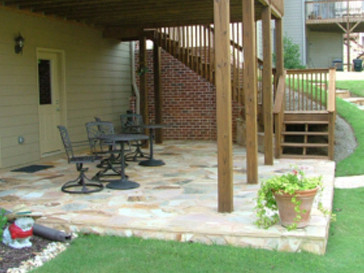 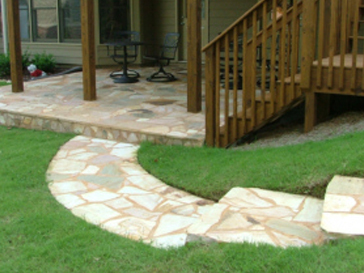 Natural Flagstone Steps – Concrete patio with Natural Crab Orchard Flagstone and Steps. 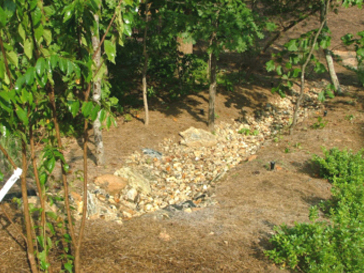 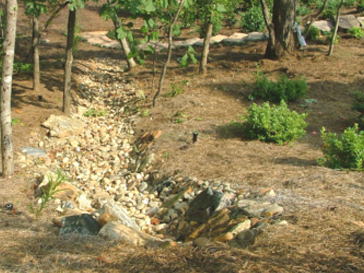 This dry bed was built with weed control fabric and river rock.